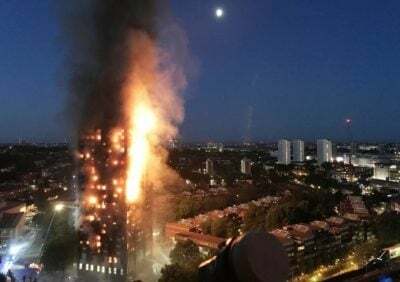 In the maelstrom that has followed the Grenfell Tower fire, it has fallen to a perhaps unlikely figure to speak up for the residents and ask searching questions of the authorities. Lily Allen lives in the shadow of the tower block and witnessed the unfolding tragedy in the early hours of June 14. Since then, she has been a constant presence at the scene, helping the victims and attempting to understand their concerns, but also giving commentary on the relief efforts and exploring the reasons behind the disaster. It is a role that has won her both praise and criticism. The response of Daily Mail columnist Sarah Vine to the singer’s heartfelt attempt to understand the tragedy and give voice for those whose lives its destroyed, or took? The sneer that she should not “pretend to be a journalist”. Neither the praise nor criticism matters to Allen, though, for whom actions are more important than words. That means helping out in any way she can, while also chronicling the potentially dangerous sense of unease she can see brewing in the local community. On the night of the fire, she arrived at the scene at around 2.30am, almost two hours after the blaze first took hold. “I’d finished recording at the studio late, and was literally just jumping into bed, and I saw on Twitter from the police that there was a fire. An alert came on to my phone, because events such as these come up as part of this London alert scheme that was set-up after the attack at London Bridge. “Immediately, I thought ‘it’s another terrorist attack’. It said it was on the Lancaster West Estate, and it’s right in between my house and my husband’s house, where my kids were with their dad. “So instinctively, I just wanted to get to my kids, in case they blocked off the area. I thought, ‘I won’t be able to get them and they won’t be able to get out’. So, I said to my boyfriend ‘let’s just go’. “I didn’t know what to expect, to be honest, until I started driving down St Mark’s Road, and we could see it. My immediate reaction was just sheer disbelief. I think the first thing I said was, ‘God, I hope there is no one in there’. But it became almost immediately obvious that there were. “When we got close, about half-way there, we could see it burning, and as we got even closer, we could see there were police setting-up some cordons. We asked them what was going on. We asked was it a terrorist attack and they said, ‘no, there’s been a fire’. People were already, at that point, coming up with crates of water and stuff for the fire brigade. “The helpers asked us to help carry these things, so we carried them. Then we got even closer and the police were taking them from there. And then we could hear it – the screams. It was at that point I felt ‘well, it doesn’t really feel appropriate to get in my car and drive away and go to my nice house at the top of the road’. “You could hear there were shouts for help. Then the crying stopped, then there was sense of calm. The moment that hit me, obviously, we were all praying that people were getting out. But it was looking less and less likely, as time went on. “People were jumping from the upper floors to escape. When the ambulances turned-up, at about 3.30am / 4 o’clock, they all parked up along Bramley Road. There must have been over 40 of them – and then the authorities started to tell people to clear out of the roads because they were going to start bringing people out. But then it just didn’t happen. No-one came out. None of the ambulances left. “It was at that point we knew they were are all dead. None of them left. It was that vision which confirmed to everyone, what had happened – everyone was dead. That’s when I knew that people hadn’t survived. “People went to bed and expected to wake-up the next morning to this national news, that so very many of our friends had died. But the news said just six people were dead. “Everyone there was looking to the news for that validation, but it wasn’t there. If you were given that figure of only six dead, and you had a family in there, in the building, you would try to find them. It gave people false hope that their loved ones were still in there. The day after the fire, Allen raised the issue of the death toll on Channel 4 News telling presenter Jon Snow she felt it was being “downplayed” by the media, who were acquiescing in an attempt by the government to “micro-manage” people’s grief. Her comments attracted criticism from many of those Sarah Vine might describe as “proper journalists”, who argued they could only deal in the details they were provided with. But Allen remains convinced that the drip-feed of official death rates – which still do not seem to correspond with the scale of those missing – combined with the disconnect between ordinary people and the mainstream media, is taking a heavy psychological toll on residents. “The thing I would like to convey is that what is being put across, as an official line, doesn’t match the experiences of the people who were there. The different messages don’t make sense. It’s infuriating, and has been met with disbelief from the residents. This is something everyone saw with their own eyes – they saw people die. “Not only the residents, but the local people running in to help, who didn’t come out. But now, they are stopping talking about it – because they are not talking about it in the newspapers. “People are having to retreat within their own experiences – because they are not being corroborated – and accept them, and deal with them, on their own, in their own mind, because they have not been corroborated by the authorities. And that’s really dangerous on a psychological level – that’s where post traumatic stress happens, that is where it comes from. “There are hundreds of people who saw what happened in that building. People are trying to suppress that experience within themselves now, people are in denial, because it’s easier to just try and move on, and forget. It will come back to haunt all of us. “Whether it happens in weeks or months or years – those images that cannot be wiped from memory, the pain of people we know from around here. It’s not something that goes away, unless you actually send them away to other boroughs, which is what seems to be happening. It’s like a ‘get the problem out’ mentality from the authorities. On the hottest day of year, I joined Allen as she trekked from mosque to community centre, from sports club to storage unit, talking or messaging regularly on her mobile to the three main organisers of the grassroots relief effort. All three of them are ordinary people who have been thrown into leadership by circumstance. One is a hero who ran into the burning building and has won the trust of the refugees. Allen follows a routine she has followed every day since the disaster. She also breaks down in tears on several occasions. “Lots of people, like myself, want to help. It’s not about making the right noises. People need things – information, access to legal advice, advice on how to get money and emotional support. I haven’t seen any evidence that is happening on a local or government level. “Perhaps, if when Theresa May visited, she had spoken to the people in the community, instead of just talking to the fire brigade, she would have understood what is needed. How was she to know anything? She didn’t talk to anyone. Maybe, if she had stepped outside, and seen what was going on – the lack of help here on the ground – then she might have been able to implement something. But she didn’t – she stayed behind a wall and spoke to some firemen. There has been a total lack of presence. “We can’t get back to normal. People can’t get on with their lives until their questions are answered. Obviously, what I can offer is getting the message out, giving people a voice, amplifying their voices really. “But the reason, I haven’t been doing that on TV every day is because people are really fragile. I definitely do not want to become any kind of public face of Grenfell Tower – that’s not what I’m here for. “But when it is the right time and there is a specific push that is needed for something, then I will use my platform to try to get that. I started to do some of my own investigations, and it’s been well documented the Grenfell housing community had been talking about fire safety, and their own concerns were met with angry emails and even threats of legal action. “I am here every day. I just start walking round in a loop, going from one help centre, to the next. There is no central line of communication or central line of command. Everyone wants to protect the residents and the families here, but there are a lot of different people with different agendas being pushed. “People are not hearing anything that tallies-up with what happened and people disconnect. Unless there is someone there to pick-up the pieces, then they have no option but to retreat, and that is what is happening now. People are becoming defensive. The absence of answers and any clear line of command on the ground is already leading to confusion and tension. “Because a lot of residents don’t have ID to collect cash it’s something of a free-for-all. Because nothing official has been put out there, and there are various names on different websites where people have tried to put together lists of victims, the information is quite easily assessable. And people are taking advantage of that, saying ‘I’m so-and-so from flat so-and-so… and turning up to places. And they are not so-and-so from flat so-and-so. “So now you’ve got sort of bouncers on the doors at all the relief centres and it’s very untrusting here on the ground. It’s not a very nice atmosphere at all. It went from quite a nice atmosphere, in the sense that there was lots of community spirit and people coming together and trying to help. But that help? I’m not even sure whether that effort got through. So, it’s gone from people trying to help, to an edgy situation where no one is actually sure of anything. The result of all this, Allen feels, is that the local community is being manipulated. From what she has heard, while working on the ground, Allen has come to suspect there has been a deliberate concealment of facts. In particular, she has called for an investigation into the possible significance of gas pipe repairs which were taking place near the 24-storey block. “People are being suppressed, and it wouldn’t surprise me if the suppression is deliberate. They have been shut-down. You have to wonder why there is what I believe to be a cover-up going on, and there are serious questions that need to be asked about the roadworks going on down at Bramley Road. And about access to the flats on the night of the fire. I’d like to hear from the fire brigade. Allen’s calls for such answers will continue. But in the meantime – more than a week on from the blaze – there are still many pressing needs to be met. As we are talking, Allen is told that residents must go to their local GP to be signed off work if they want to claim employment support allowance. “All the residents need is cash,” she says. “There are boxes and boxes of clothes for sorting, but they are not needed. It’s a just distraction to keep people busy – clothes and food for people who have already died. “People were being told they still needed to turn-up on time to get employment benefit or lose their benefits. Amir Khan (the boxer) came down and donated a big amount of money through an Arabic speaking volunteer, acting as a community relief leader, no-questions-asked. But it’s down to these volunteers to hand out cash. People at the mosque are dealing primarily with victims that were Muslim and their families. “In each of these relief centres, there are short term conversations going on, there are care packages being put together, there are lots of women who need specific types of baby milk. There is just all sorts of help going on at all different levels. There are also other well-known people doing their thing, too, discreetly. As we are talking, I see Marcus Mumford come out from the mosque behind us. Cars continually pull up, bringing more and more boxes of clothes and toys. For Allen, it is more proof that the relief effort is one in which the public, not public bodies, have taken the lead. Such talk will doubtless further enrage the Daily Mail, but in using the fire and her empathetic response to it to make a wider point about the glaring inequalities that exist, cheek by jowl, in society, Allen performs a public service. As we stand outside the charred remains of the tower, she points at it.